I cannot see any of my tanks as shown in the screenshot. Launched game in safe mode and has not done anything. Your World of Tank folder in your profile needs to be deleted. Type %LOCALAPPDATA% in the windows search area. 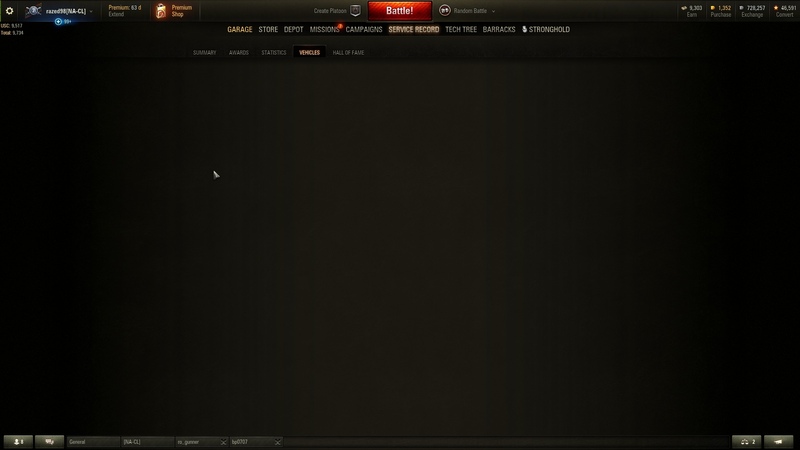 Then click (I believe) a Wargaming folder. Delete world of tanks folder. Edited by razed98, Nov 29 2018 - 15:39.